The Hoonah Harbor is still asleep as we slip away from the docks this early morning. 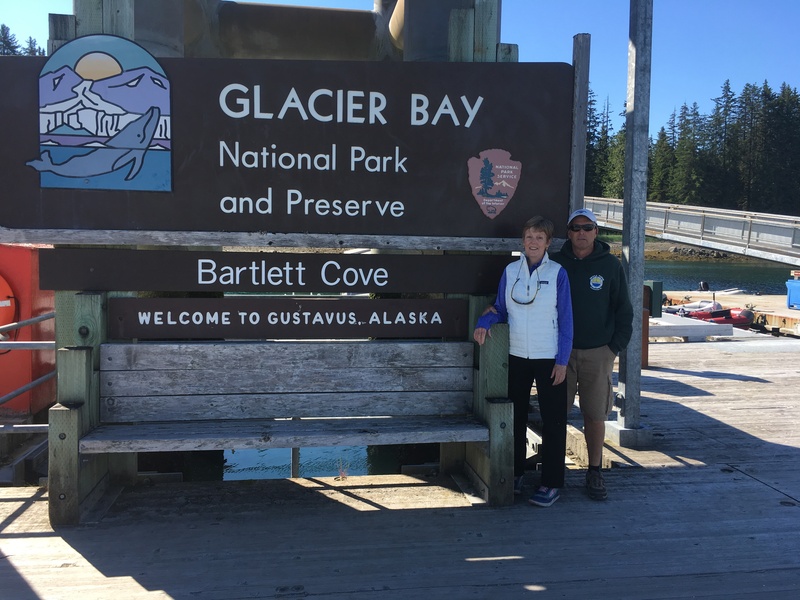 Our dear friends, Jack and Barbara, are with us for this special trip into Glacier Bay. Cruising into Glacier Bay on our own boat has been on our bucket list for some time. It is hard to believe this dream is now becoming a reality. 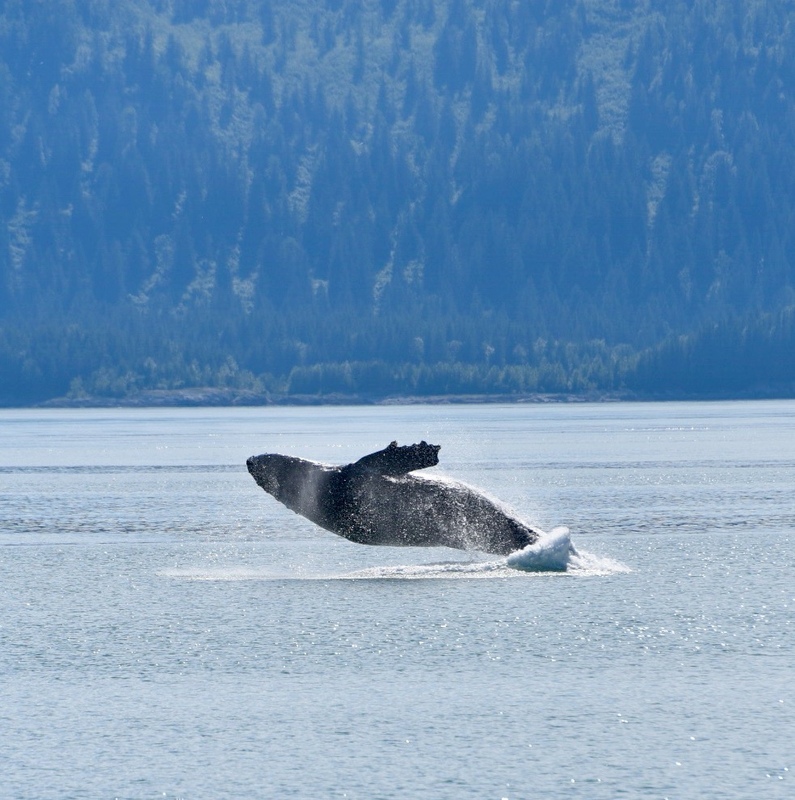 Getting a permit into Glacier Bay is no easy feat. The park allows only twenty five boats and two cruise ships into the park each day. Permits can be applied for sixty days in advance. We began the process of obtaining a permit in early May, sending in our application each morning at precisely 7:01 AM 60 days in advance. Each day we were disappointed to find a rejection letter from park headquarters. After a week of trying, we were were ecstatic to finally receive our permit for entry. At the time we received the permit we still had to travel another thousand miles of inside passage waters. Would weather allow us to arrive in time for our permit? We were not sure. 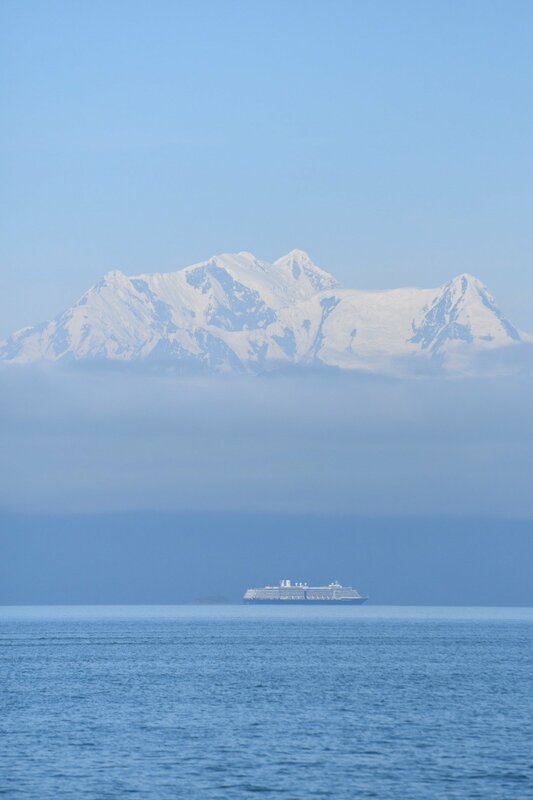 So….here we are today, after traveling 1700 Miles over the last two months , heading into Glacier Bay. 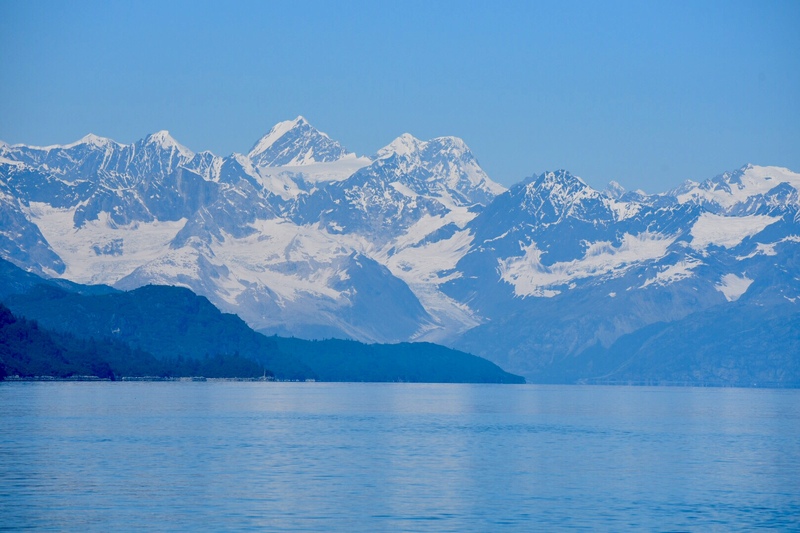 Crossing Icy Strait, we get our first views of Glacier Bay as the magnificent Mt. Fairweather Range comes into view. 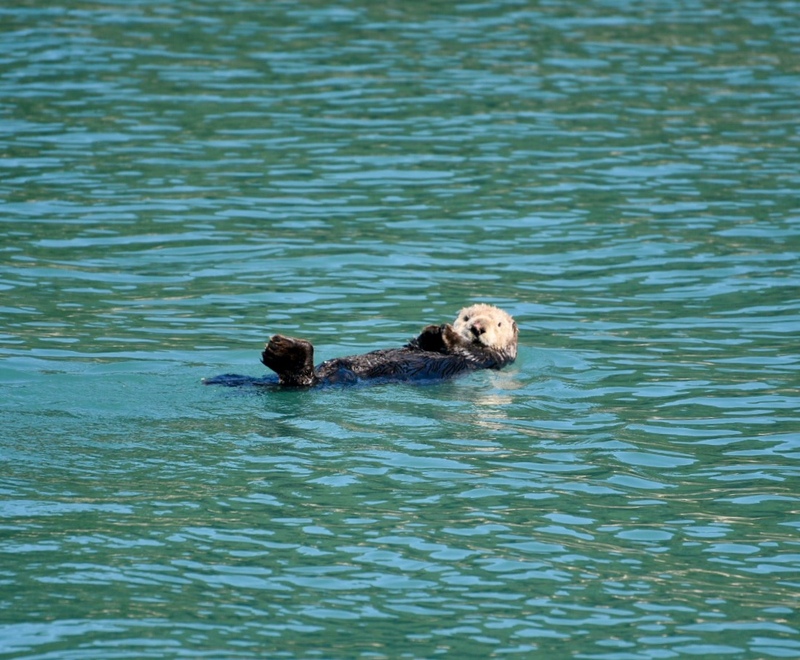 Passing on our port side, a lone sea otter seems to be enjoying the calm seas while lazily swimming on his back in the icy waters. Reaching the park boundaries between Pt. Carolus and Pt. Gustavus, we radio “KWM20 Bartlett Cove” and ask for permission to enter. 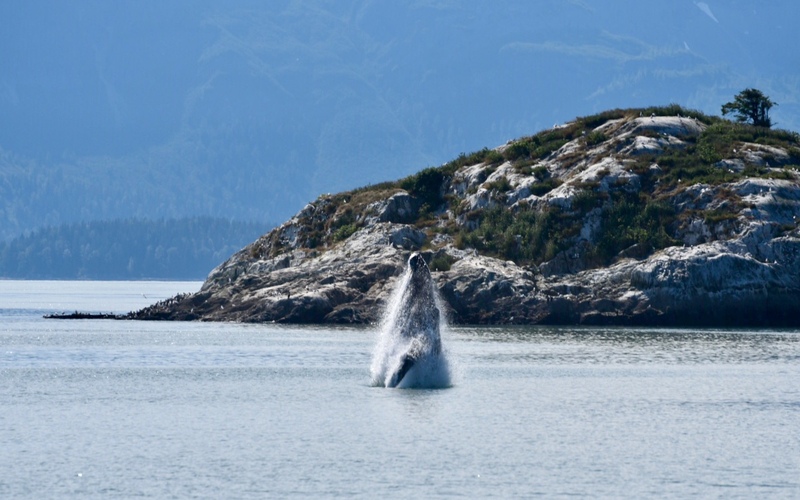 Permission granted along with instructions for travel into Bartlett Cove as these waters are considered “Whale Waters” and the park wants to make sure whales are protected from collision and disturbance. After tying up at the Park headquarters dock in Bartlett Cove, we attend a mandatory one hour orientation on boating in Glacier Bay. Of the 500,000 people that visit the park each year, only 8500 visit on their own boat. Most come by cruise ship and spend only a few hours in the park. 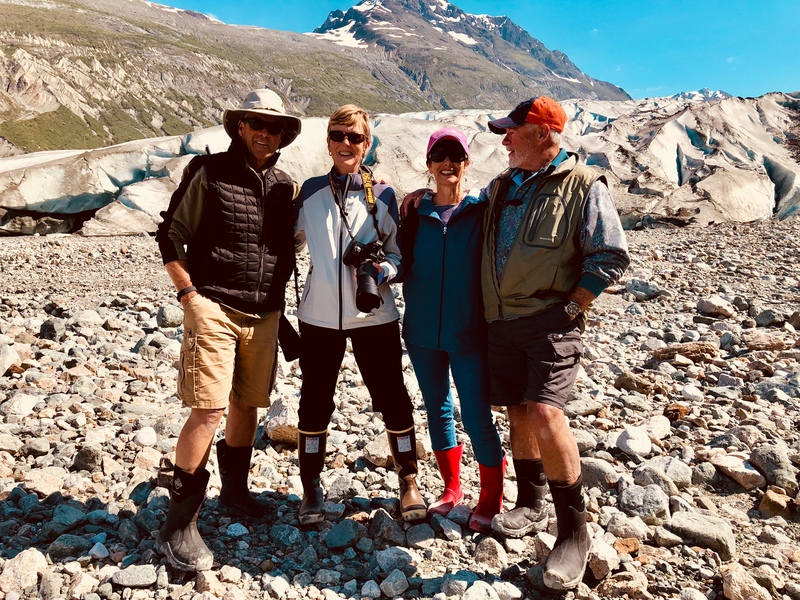 What a fabulous opportunity we have to spend the next seven days exploring Glacier Bay. After our orientation, we spend several hours exploring the park headquarters and lodge grounds. 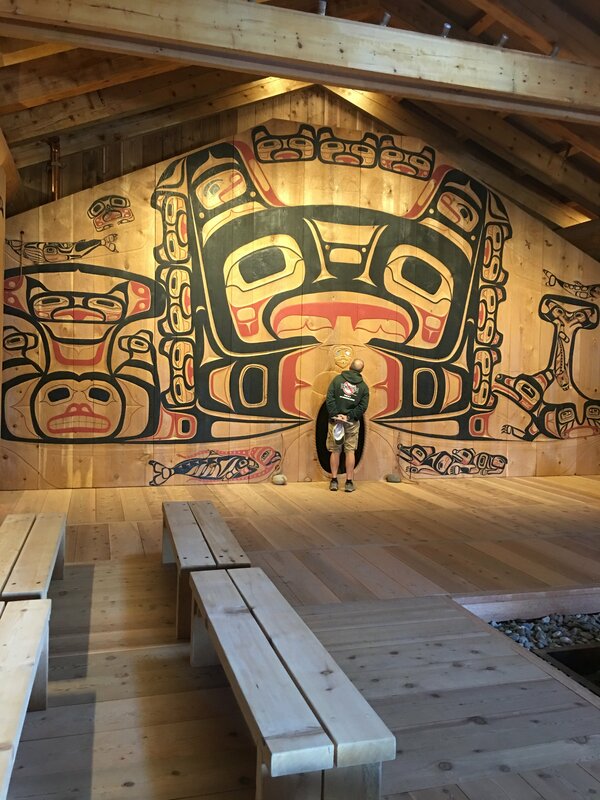 The Huns Tlingit Tribal House opened last year as cooperative venture between the NPS and Hoonah Indian Association to help heal some of the strained relationships between the two over the years. 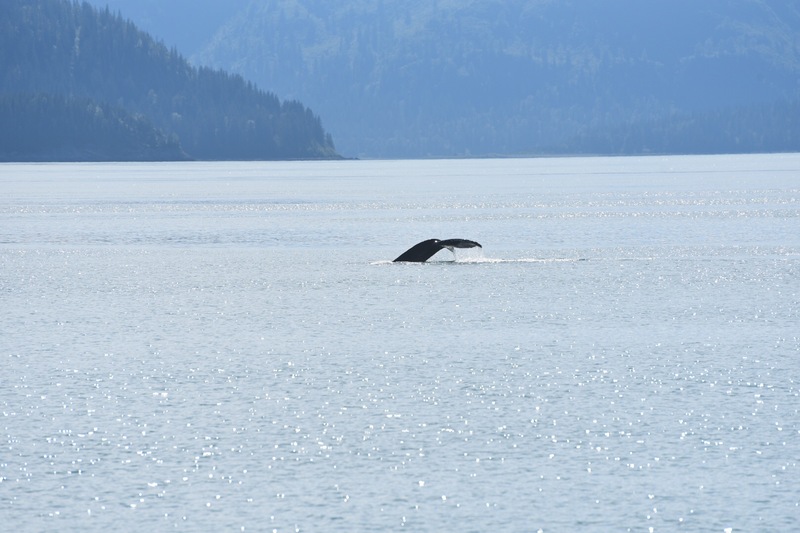 In August, the “ Healing Pole” that we saw in Hoonah will be erected on the beach here in Glacier Bay. With a favorable current in Sitakaday Narrows and a beautiful cloudless day, we decide to continue up Glacier Bay this afternoon. 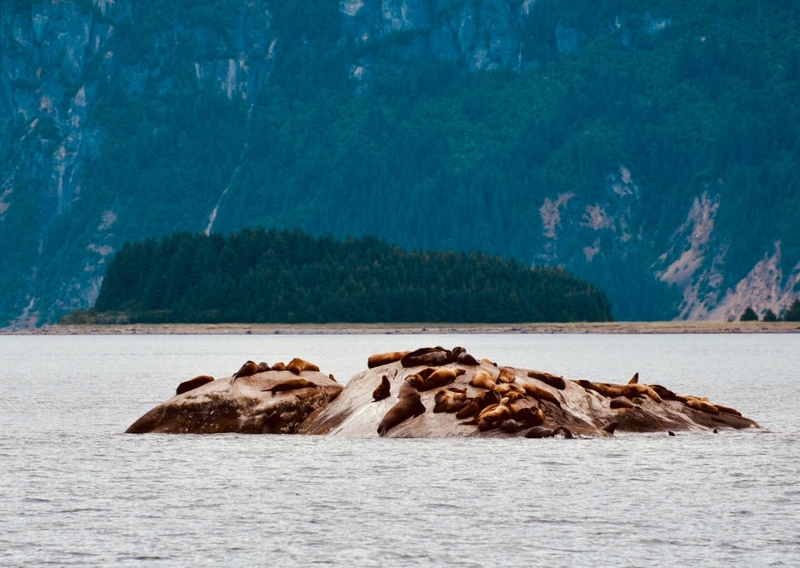 As we approach South Marble Island, we begin to see the Stelar Sea Lions lazing on the rocky shores. Their smell and vocal noise are strong evidence of their numbers. 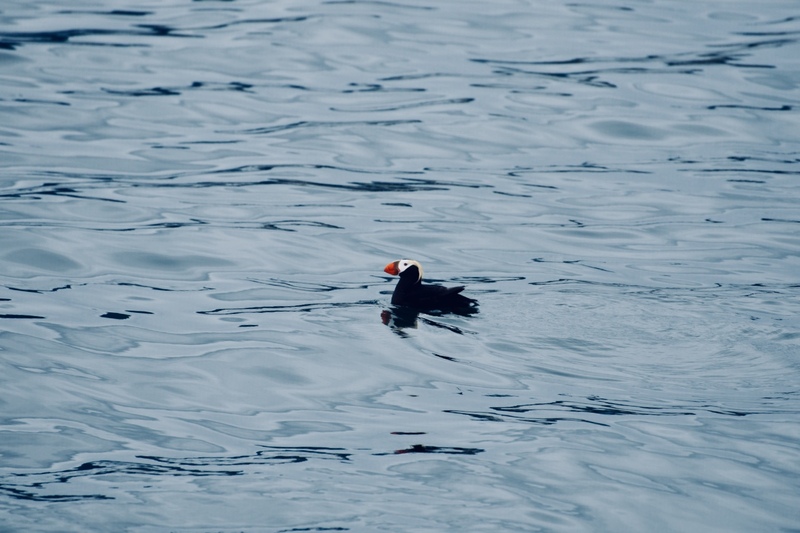 Several Tufted Puffins are bobbing in the 57 degree waters. 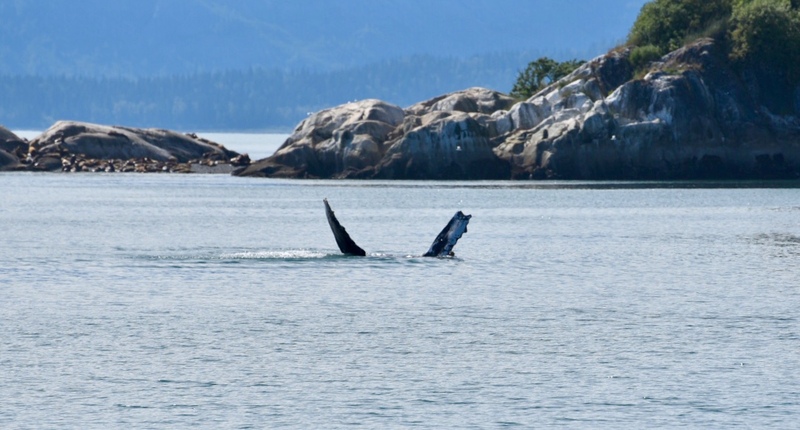 Our attention is diverted from these magnificent creatures, as we see a nearby humpback whale doing a tail slap. We watch this highly animated mammal for the next hour as he performs for us. At one point, we counted twenty one consecutive tail slaps. 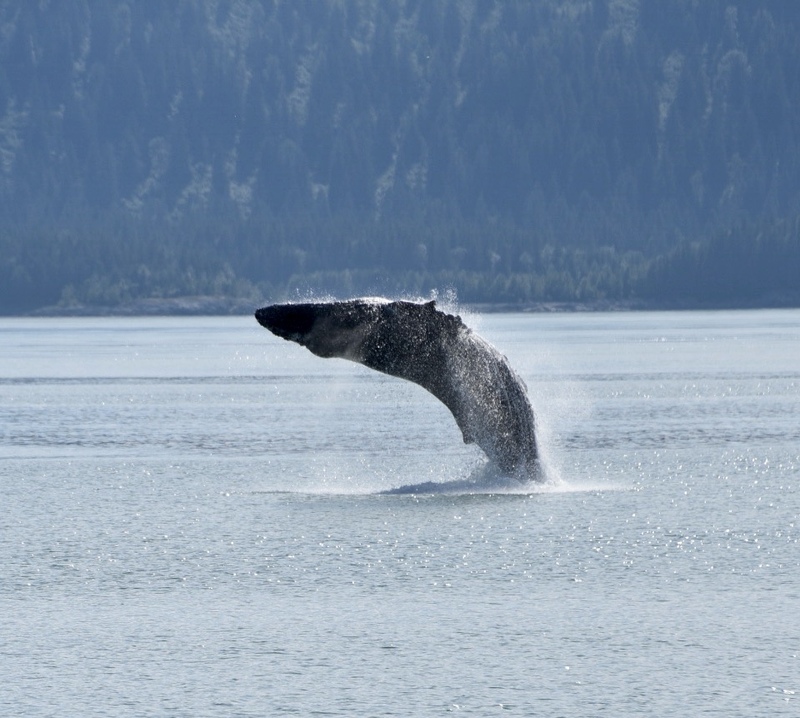 After slapping his tail for several minuets he would do a series of breaches launching his massive body completely out of the water, followed by several minutes of pectoral fin waving. To our amazement, he repeated these activities several times. This will be a forever memory. Our anchorage for the evening is North Sandy Cove. 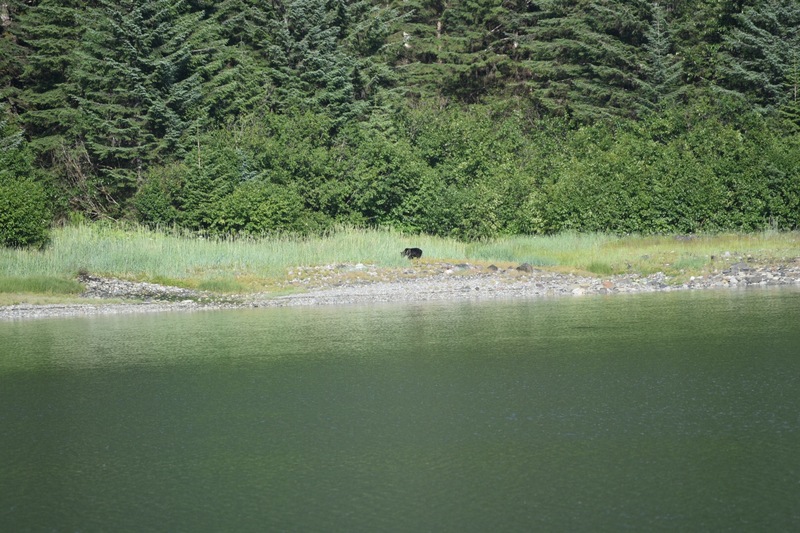 Other than two black bears, dolphins, an a moose who we see swim across to one of the islands, we have this beautiful spot all to ourselves. Tomorrow we continue up bay to the Reid Glacier. This entry was posted on August 12, 2018 at 4:01 pm. You can follow any responses to this entry through the RSS 2.0 feed. You can leave a response, or trackback from your own site. 1 Response to "Glacier Bay Part One"
Thank you both so much for allowing us to bask in Alaska’s rugged beauty. This was truly the BEST trip ever for us!! Each and every day provided us with a new experience to reflect upon. Thank you, thank you…thank you!! !